Serve your wine in style with the RSVP Endurance wine glass set. 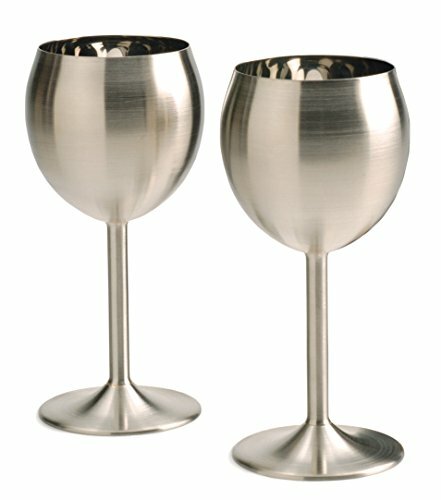 These glasses are beautiful for serving red or white wine and keep white wine chilled longer than glass or crystal. Constructed from 18/8 stainless steel, these glasses have lustrous, brushed exteriors and polished interiors. Best of all, these glasses are dishwasher safe and are perfect for out on the deck or anywhere a glass or crystal goblet may break. 2-3/4" diameter x 7" H, with an 8 ounce capacity.